How can I help Conquer Chiari? In order to comply with all Federal and State regulations it is important that you contact us before setting up a fundraiser. Conquer Chiari can assist with insurance, flyer design and placing your event on our social networking pages. Fill out the Conquer Chiari Fundraiser Proposal Form. By using Adobe Acrobat Reader, or printing it out. The Conquer Chiari Walk Across America is an annual fundraising and awareness event comprised of a series of local walks held on the 3rd and 4th weekend of September. You can host a walk, or simply offer to help out at a local walk near you. Organizers need sponsors, live bands/entertainment, food and water donations and volunteers to assist with walk day activities.You can find the organizers contact information by viewing the flyer for a specific location. EVERYONE can help, if your budget doesn't allow for a donation this year, simply registering and participating in the event is a great means of support, it is also a great way to meet other people with Chiari. Emails will be sent to our mailing list at the end of January, early February for the upcoming walk. If you are not on our email list please take a couple seconds to enter your email address, so you can be up to date on current news and events. 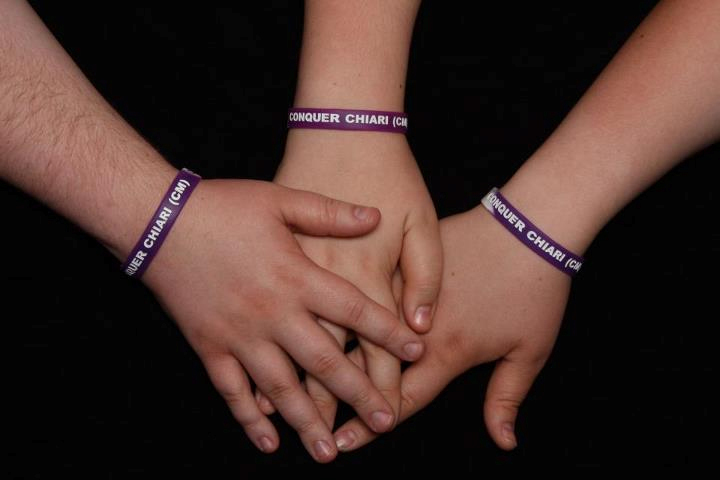 Visit the Conquer Chiari Walk Across America page for more information. C & S Patient Education Foundation is a tax exempt charitable organization governed by Section 501(c)(3) of the Internal Revenue Code. Contributions to the Foundation are deductible as charitable contributions on your federal income tax return, subject to various limitations under the federal tax laws. For more information on your individual tax situation, please consult a qualified tax attorney, CPA or other tax advisor. The official registration and financial information of the C&S Patient Education Foundation may be obtained from the Pennsylvania Department of State by calling toll-free, within Pennsylvania, 1-800-732-0999. Registration does not imply endorsement.